Slice up the shallot and sauté in olive oil and salt. 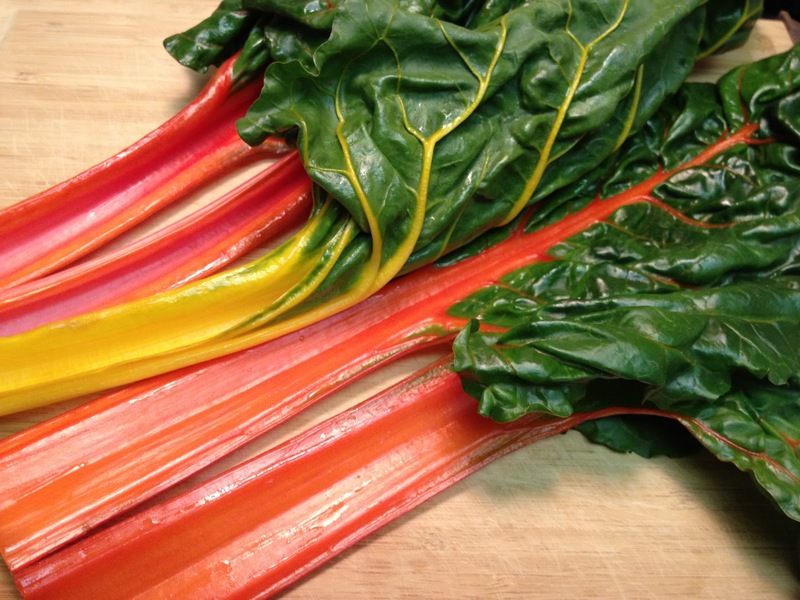 Remove the swiss chard from the ribs and save the stems. 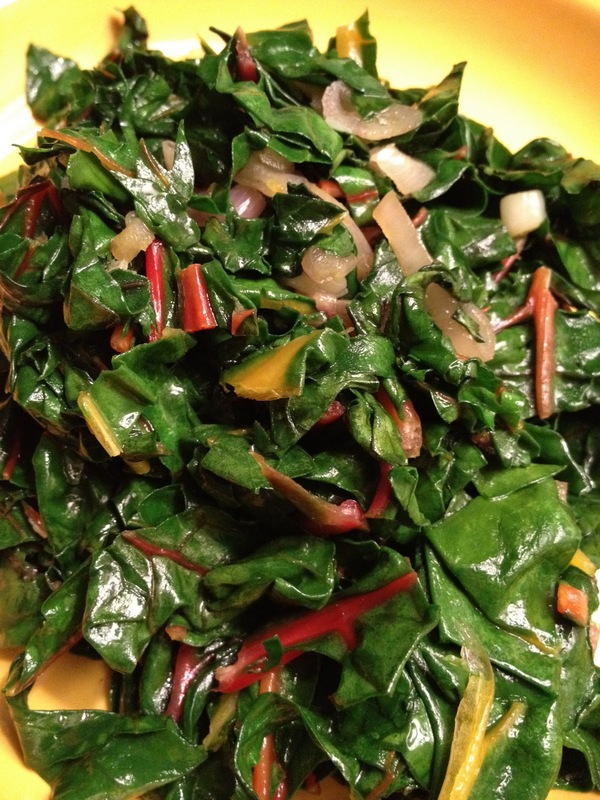 Chop up the swiss chard and add it into the pan with the shallots, toss around, and let it wilt. Preheat the oven to 450. Cut the stems into bite size pieces and toss with olive oil, salt and pepper. Turn out onto a baking sheet lined with tin foil and roast for 15 minutes. One bunch is enough for one to two people. Adjust accordingly. Enjoy! 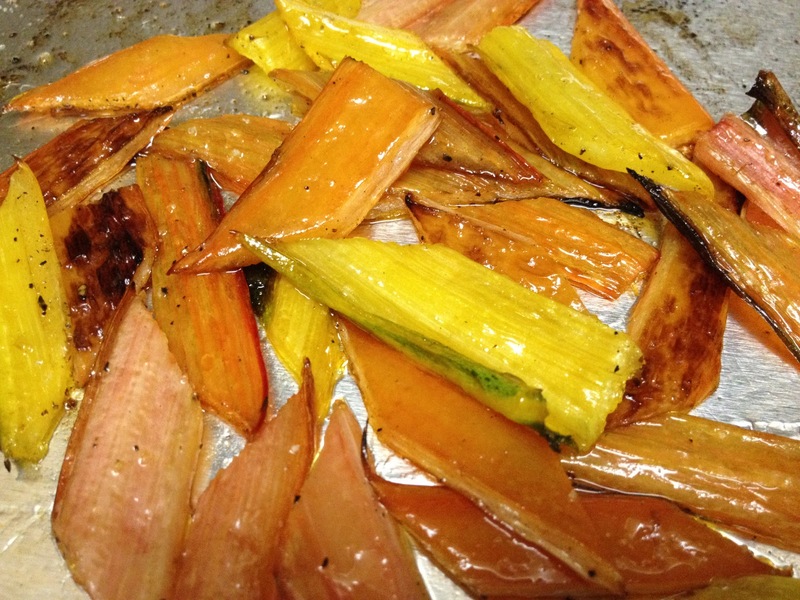 I never thought of roasting the stems! I never throw them away and I either add them to stir-fries or use them instead of celery, but I sometimes find their taste not too suitable. I can't wait to try them roasted. did you try them? they come out great. i have also started cutting them into a tiny dice and sautéing them along with the chard. keep me posted!